The questions refer to the past 12 months. Carefully read each statement and decide whether your answer is yes or no. Please give the best answer or the answer that is right most of the time. Have you used drugs other than those required for medical reasons? Have you abused prescription drugs? Can you get through the week without using drugs (other than those required for medical reasons)? Do you abuse drugs on a continuous basis? Do you try to limit your drug use to certain situations? 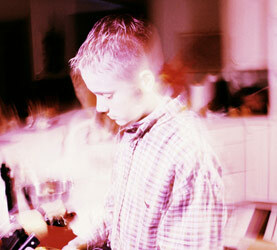 Have you had “blackouts” or “flashbacks” as a result of drug use? Do you ever feel bad about your drug abuse? Does your spouse (or parents) ever complain about your involvement with drugs? Do your friends or relatives know or suspect you abuse drugs? Has drug abuse ever created problems between you and your spouse? Has any family member ever sought help for problems related to your drug use? Have you ever lost friends because of your use of drugs? Have you ever neglected your family or missed work because of your use of drugs? Have you ever been in trouble at work because of drug abuse? Have you ever lost a job because of drug abuse? Have you ever been arrested because of unusual behavior while under the influence of drugs? Have you ever been arrested for driving while under the influence of drugs? Have you engaged in illegal activities to obtain drugs? Have you ever been arrested for possession of illegal drugs? Have you ever experienced withdrawal symptoms as a result of heavy drug intake? Have you had medical problems as a result of your drug use (e.g., memory loss, hepatitis, convulsions, or bleeding)? Have you ever gone to anyone for help for a drug problem? Have you ever been in hospital for medical problems related to your drug use? Have you ever been involved in a treatment program specifically related to drug use? Have you been treated as an outpatient for problems related to drug abuse?